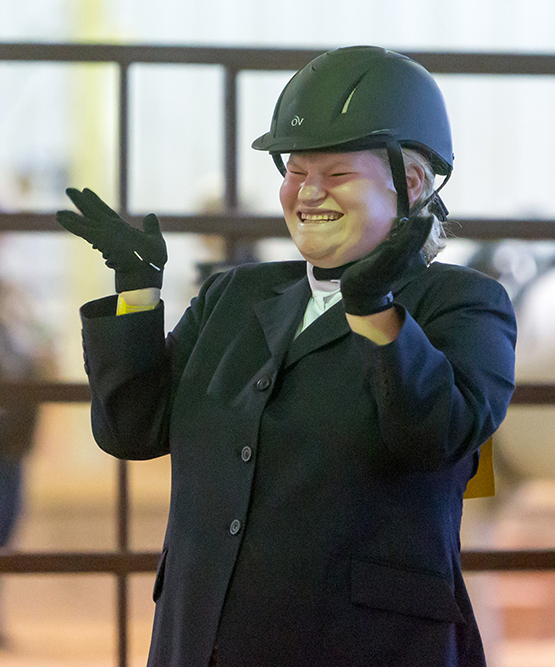 A record number of equestrian athletes – 146 – competed in five events at BraveHearts at the Bergmann Center as part of this year’s Fall Games. That number is up fivefold from a low of 28 athletes who competed in the sport in 1992. Meggan Hill-McQueeney, President and COO of BraveHearts Therapeutic Riding & Educational Center, attributes the increase to better training of Special Olympics equestrian coaches and working to grow the sport so it’s safe, fun and a rewarding experience for the athletes. One special horse that competed at Fall Games was Mighty. He was one of four wild mustangs adopted from the Bureau of Land Management’s Eagle Nevada herd in 2013 by BraveHearts. 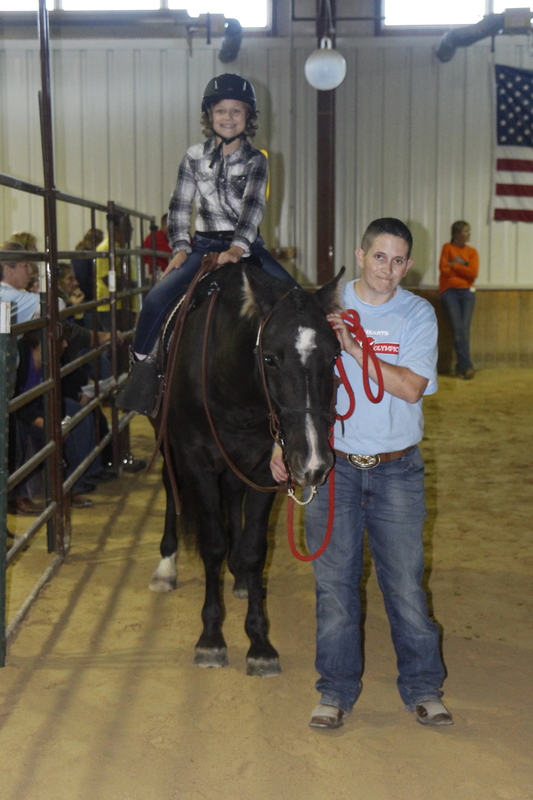 All four mustangs were gentled by local military veterans at BraveHearts. “Mighty probably came in as one of the wildest and now he’s the gentlest,” said Hill-McQueeny. “We did a lot of training with him; he’s extremely acclimated with sounds and toys. 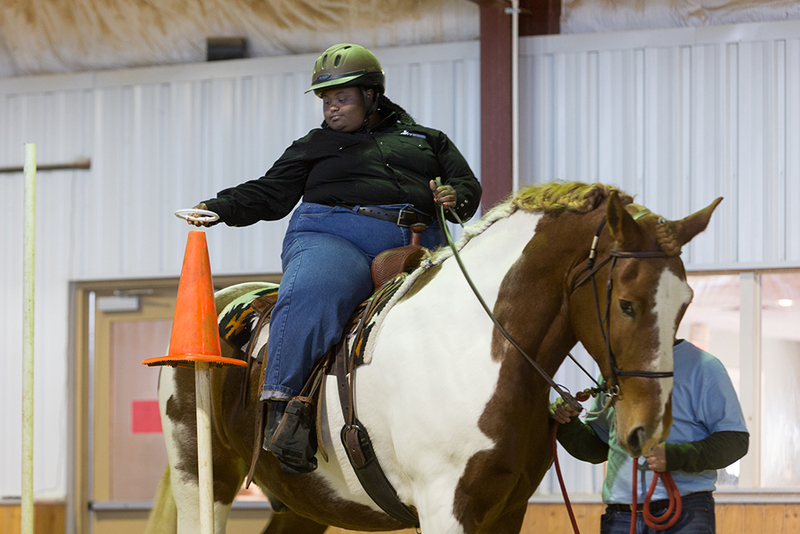 He is a very quiet and safe horse.” Two Special Olympics athletes rode Mighty at Fall Games and earned silver medals for their efforts. 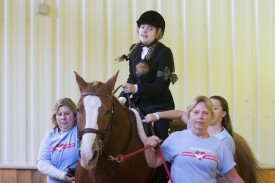 Another special horse at this year’s Fall Games was Huff (pictured at top of page). 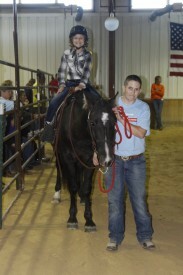 A half Percheron horse (draft horse), Huff was the biggest horse competing at equestrian. Because of his quiet and gentle demeanor, Huff was named PATH Horse of the Year for the Region 7 of PATH International.